The paper considers the problem of reducing the aerodynamic noise of centrifugal and axial fans, which are equipped with almost all businesses. We consider now the ways to apply sound attenuation fans, shows the need for a compact and highly efficient silencer combined type. These silencers are especially needed in the absence of an enterprise of the sanitary protection zone. The design of the two types of silencers, which are patented in Ukraine and that have been tested for five years. The problems of protection from aerodynamic noise axial fans, drawn attention to the difficulty in solving this problem because you cannot install on these types of fans used silencers. A description of the newly developed soundproofing screen using the feathering. The screen does not take the wind load, keeps noise control properties in low wind, does not require a strong attachment. The screen is mounted on the roof of a building company and has shown its effectiveness. Keywords: noise level, silencer, fan. Control of noise at work. Handbook / edited by dr. tehn. sciences, prof. E.Y. Yudin. – Moscow: Mashinostroyenie, 1985. – 393 p.
Zarubin G.P., Nikitin D.P., Novikov Y.V. Environment and Health. – Moscow: Knowledge, 1972. – 210 p.
Radnevo R.S. The study of infrasound in the habitat houses // Proceedings of the scientific-practical conference UNGZ MSU. – Kiev: 1999, № 2. – 112 p.
Shandala M.G., Zvinyatskovskaya J.I. Environment and public health. – Kiev: Health, 1988. – 152 p.
Medved R.A., Soloviev R.V. Production noise and the fight against it. – Gorkiy, 1977. – 340 p.
Kucheryavy V.P. Urboekologiya. Vol. 1. – Lviv: Mir, 1999. – 359 p.
Shterengarts G.Y. On the combined action of transport gases and noise // Hygiene and Occupational Diseases, 1984, № 5. – P. 40-42. Didkovskiy V.S., Akimenko V.Y., Zaporozhets O.I., Savin V.T., Tokarev V.I. Fundamentals of Acoustic Ecology. – Kirovograd: Printing Publishing Center Ltd. “Imex Ltd”, 2001. – 520 p.
Khoroshev G.A., Petrov Y.I., Egorov N.F. Anti-noise fans. – Moscow: Energoizdat, 1981. – 143 p.
Munin A.G., Kuznetsov V.M., Leontiev E.E. Aerodynamic noise sources. – Moscow: Mashinostroyenie, 1981. – 248 p.
Faktorovich A.L., Postnikov G.I. Protection of cities from traffic noise. – Kiev: Budivelnik, 1982. 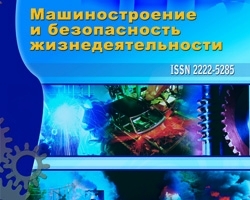 – 140 p.
Drahomanov B.H., Volinskiy A.A., Mіschenko A.V., Pismenniy E.M. Teplotehnіka. – Kiev: «Іnkos», 2005. – 504 p.
Kotenko E.O., №3 (17) 2013, Noise reduction of centrifugal and axial fans, Shmandiy V.M.